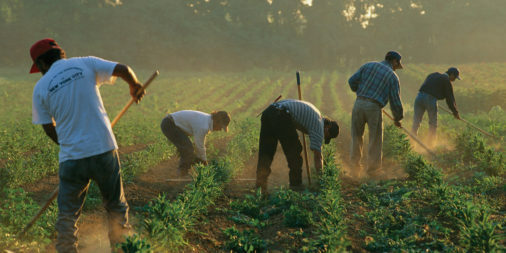 Immigrants fill crucial gaps in local economies and therefore Congress must act to reform federal standards that end up hurting various state and local economic shareholders, a new report from the Bipartisan Policy Center argues. The report, titled “A Call for Clarity and Compromise: The Perspectives of State and Local Officials on the National Immigration Debate,” details findings from four recent Bipartisan Policy Center roundtable events with Republican and Democratic members of the National Association of Counties (NACo) and the National Conference of State Legislatures (NCSL). The report highlights areas of agreement as well as disagreement between the members regarding current immigration-related employment regulations and seeks to discover communication strategies to push federal legislators to enact more sustainable laws. The attendees agreed on the important role of immigration in addressing key gaps in local economies—particularly in the agricultural, health care, technology, and higher education sectors. Unfortunately, however, the report reveals that the increasing political polarization in the U.S. has obscured the genuinely beneficial economic role that immigrants play in local American communities. Indeed, the report’s key finding details the detrimental economic impacts that current federal immigration regulations have on various economic shareholders, notably in the agricultural sector. However, the report highlights ongoing debate over the extent to which state and local law enforcement should cooperate with and enforce these rigid immigration regulations that often harm state and local economies. It is also important to note that some participants, often from rural communities, voiced concerns over the ability of smaller communities to provide effective educational and other social services to immigrants, pointing to significant budgetary constraints. Nevertheless, the participants came to the consensus that federal legislators should break through today’s pervasive misinformation about immigration and pass legislation that allows immigrants to provide an essential contribution to local communities. Such action, the participants agreed, would protect local economic shareholders to whom federal lawmakers represent, while also abolishing the need for sanctuary policies. For more information on topics raised in this piece, visit the HSDL Featured Topics on Immigration and Border Security.